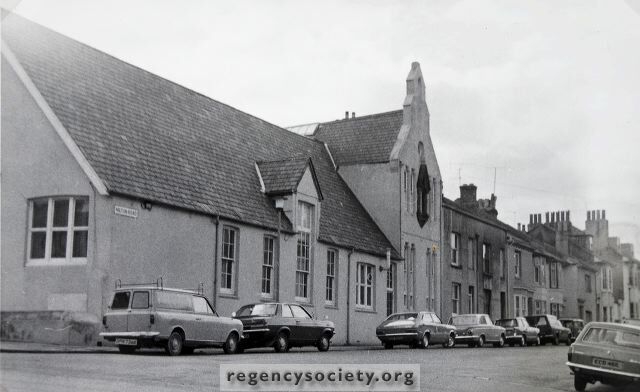 The large building, seen in Milton Road, at its junction with Elm Grove, was the first St. Joseph’s Church and Schools, erected about 1870.After the opening of the permanent church in 1879, this building continued to be used as a school and church hall. When this photograph was taken on 21 October 1973, its future was in some doubt. Without actually being demolished it has since been completely extended and reconstructed.